Dave and Bekim Lushaj grew up in the pizza business, where the original Nizza Pizza was opened by Dave’s father, Bekim’s grandfather in New York City in 1974. 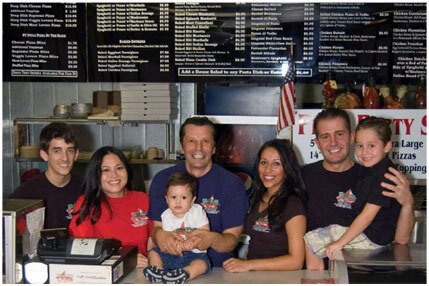 After moving to Texas in 1999, The Lushaj family continued the Nizza Pizza legacy. Using only the finest and freshest ingredients, they prepare all of their sauces and doughs, on site, daily.